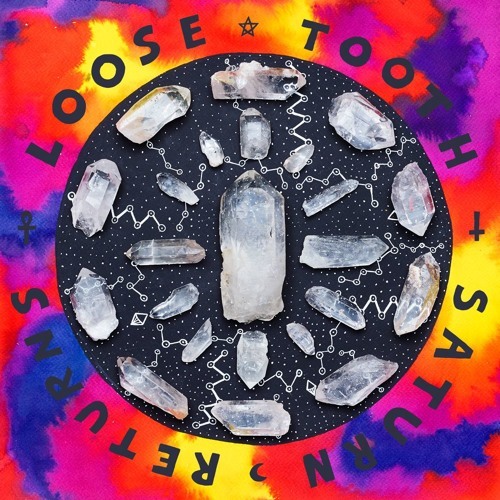 New noise from Melbourne trio Loose Tooth hit the web recently, along with the news that the band will be releasing their debut EP on April 1, 2016 through the ever-growing Milk! Records imprint. The EP is titled Saturn Returns, a term signifying an ‘astrological transit that occurs when the planet Saturn returns to the same place in the sky that it occupied when a person was born’ – or something along those lines. I’m unsure if April 1 marks such a scenario for the band, but astrological relevancy aside this track marks a solid entry into the annals of harmony-laden fuzz rock. ‘Bites Will Bleed’ – mastered by mastering maestro Mikey Young – is the second single to be taken from Saturn Returns after ‘Everything Changes’. Both singles showcase a penchant for lackadaisical psych rock with a smattering of guitar-driven pop. ‘Bites Will Bleed’ opens up with a hazy and fuzzy riff and a booming echo-y drum beat, before the bewitching vocals enter the fray. The whole song is hypnotic in a sense, which seems to match the song’s content. From what I can gather the song is about the affect one lover has on another. It touches on the ramifications of the departure of one half and the obsessive attachment from the other (“you put a spell on me / wave your magic wand when you please / you are my mystery / and your bites will bleed when you leave”). This is a very listenable song, and I would bet a bit of dosh that the EP will follow suit.